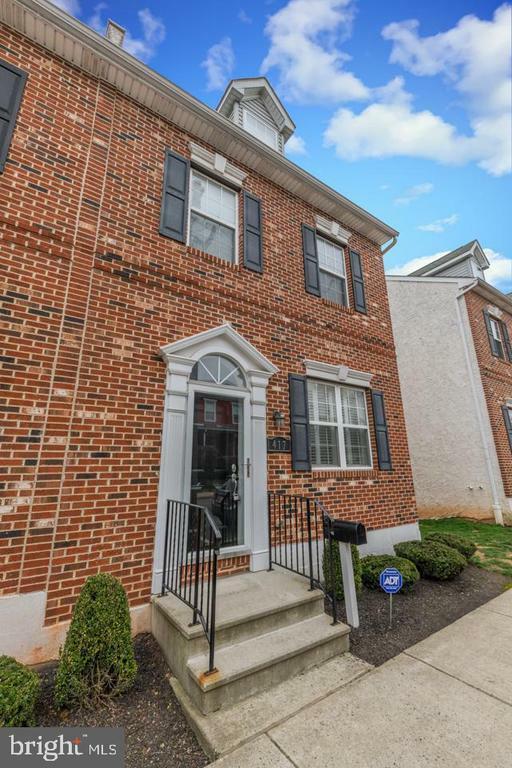 Welcome to this magnificent 3 BR 2 1/2 bath end unit townhome with a TWO CAR GARAGE located in the heart of popular downtown Conshohocken. Upon entering youll immediate notice the immaculate condition of the home. The first floor features hardwood floors that flow throughout this open floorplan that is perfect for todays lifestyle. The stunning kitchen is a chefs dream featuring upgraded cabinets, a wine fridge, granite countertops and stainless steel appliances that overlooks the formal dining room and family room area with gas fireplace. Plus theres a new composite deck with a spectacular view and a powder room that complete the first floor. Step upstairs to find a luxurious master suite featuring hardwood floors, crown molding, a walk-in closet with built-in shelving and a sumptuous master bath with upgraded tile, a soaking tub and double bowl vanity. The 2nd bedroom also features hardwood floors, crown molding a large closet plus the laundry room is located on the 2nd floor. Youll love the 3rd floor finished loft with lots of space, a large closet AND a separate zone HVAC system. Plus theres additional living space to be found in the finished lower level that walks out into your spacious 2 car garage. Additional upgraded features include plantation shutters, a speaker system, neutral colors throughout and moldings throughout. Youll love the location. Its an easy walk to the train station to Philadelphia and popular town of Conshohocken with all the great restaurants and shops. This is one of those special homes that youre going to want to call home!